Many practitioners will recognize the following scenario. A new client comes into the office to have a regular Form 1040 prepared. In the course of the interview, the client reveals that he has been self-employed in cooperation with others and is “just splitting the income and expenses with them.” Frequently the client has prepared his own Schedule C in the past, but he is in a quandary about how to handle the tools and other equipment costs that were split with the work group. In a real case, a new person came into my office who had also been managing a group, handling the money matters, and sent a Form 1099-MISC to each of his “employees” each of whom he was treating as an independent contractor for their share of the profits for the last couple of years. Everyone seemed very happy with the arrangement until the taxpayer revealed that the independent status of his “employees” was being questioned by the state unemployment insurance department. Since he had been filing Schedule C with his Form 1040, I saw no way to effectively argue that his independent contractors were anything but employees after running through a Form SS-8. Later discussions with the “employees” revealed that they considered themselves to be “partners”. The same group had worked from project to project and divided the profits based on the percentage of total time each devoted to the project, and the managing taxpayer in front of me was allowed extra for management and financial duties connected with the construction projects. How Would You Advise the Taxpayer? The first thing to do is educate the taxpayer on the law of partnerships, both under the Internal Revenue Code and state law. He or she may be unaware that partnership activities are reported separately from the partners’ personal income tax returns. There are many definitions for a partnership, but the best this author has found is from the Uniform Partnership Act of 1914: “A partnership is an association of two or more persons to carry on as co-owners of a business for profit.” Note that a partnership is defined as an association of persons. The persons may simply wish to share responsibilities and profits, but a partnership may be formed either consciously or unconsciously. Their agreement may be simply an informal arrangement or a formal written agreement. A partnership is also formed by two or more persons conducting themselves and their joint business activities as if they are partners. The best way to form a partnership is to have a written agreement. It is highly recommended that the drafting of the document be a joint effort of the partners, an attorney, and the tax advisor. With the tendency of our society for disputes and litigation of seemingly insignificant matters between friends and even family members, a written agreement will safeguard everyone concerned. Many tax professionals will not take a partnership tax return preparation engagement unless there is a written agreement. 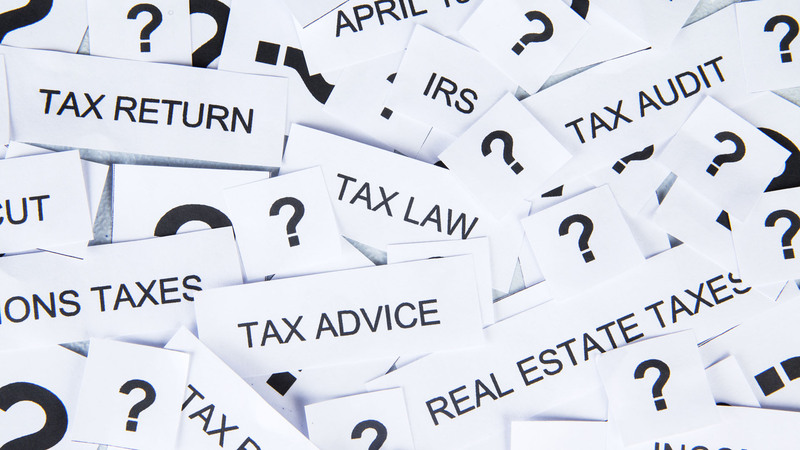 The reason is that individual partners may dispute how various items are to be distributed on the tax return and allege professional malpractice. If your client does not have a partnership agreement, at least insist that the relevant points be listed in writing under the client’s signature for your file and protection as the return preparer. The partnership agreement may be headed with whatever title the partners decide to call it, but many attorneys prefer that it be headed as “Articles of Partnership.” The basic provisions in the agreement should identify the partnership name under which it will conduct business and the names of each partner. The nature, scope and duration of the partnership business should also be defined. Each partner’s initial capital contribution should be spelled out. This could take the form of cash, business personal property, real estate, or personal services. Specific care should be taken to define, in dollar amounts, the partnership interest to be allowed each partner for contribution of non-cash assets. Also, if any of the non-cash assets are subject to an unpaid liability, the agreement should state whether the partnership will assume the liability or be payable by the contributing partner. Also clearly specified should be the dollar amount or percentage of the initial partnership capital to be allowed for personal services. The division of profits and losses between or among the partners must be clearly defined. Provision should also be made for compensation for services of individual partners such as guaranteed payments in addition to a share of the income or loss. The duties of the partners should be clearly delineated regarding management of the business. If there are to be any limitations or restrictions on particular partners to bind the firm in contracts or credit relationships, the partnership agreement is the place to list them. The remaining provisions tend to be related to the termination of the partnership, provisions for a partner leaving the partnership, and for the continuation of business upon the death or withdrawal of one or more partners. Many times provision is made for the remaining partners to acquire the interest of a deceased or former partner through a buy-sell agreement. A common buy-sell agreement will define a price or a formula for arriving at a transfer price for the partnership interest. It also may include methods of financing the transfer such as through life insurance. The test of the existence of a partnership is two-fold. First, is there the business element of continuous commercial activities? Second, is there co-ownership of a business? Mere co-ownership of income producing property is not a sufficient business element. However, co-ownership of property is not necessary if there is sharing of profits and losses. Receipt of a share of the profits is prima facie evidence of a partnership interest. In the case of the taxpayer in my office calling his men “employees” and the men calling themselves “partners,” a decision had to be made as to how to make his problems go away. I looked at the relationships between him and the other men in light of the tests for the existence of a partnership and asked the client how he and the other men would feel about forming a partnership. He and all the others agreed that they had in fact been conducting themselves as a partnership for a number of years. A couple of things were causing me concern. Each man owned his tools and equipment of the trade, so there was no co-ownership of partnership assets to show on a balance sheet. All the profits were distributed to the partners in cash after paying the bills, so there were then no assets, liabilities or owner equity to show on a balance sheet. How could I prepare a partnership return without a balance sheet? Recall that continuous commercial activities are required to have a partnership and that receipt of a share of profits is prima facie evidence of a partnership interest. My decision was made. The group of men constituted a partnership. To remedy the employee vs. independent contractor question with the state, I decided with the partners to get a federal ID number and file late partnership returns for the prior two years questioned by the state. The partners considered the late filing penalties and interest minor when compared to the effect of being reclassified as employees. I felt a little strange completing the balance sheet portion of the returns with nothing but zero amounts! However, the returns were accepted by the Internal Revenue Service, and the state dropped its question of the employee vs.independent contractor status. The men were neither. They were partners! Since we included a request for non-assessment of penalties with the federal and state returns due to the new knowledge that a partnership existed, they were never assessed. Subsequently, we had to file substitute 1099s to bring them to zero, and each partner filed an amended return for the years in question to reflect the Schedule K-1 on Schedule E of the Form 1040 instead of on Schedule C. There was no change in either income or self-employment tax for any of the partners, and their problem was resolved. Now they are operating under written Articles of Partnership drawn by an attorney and reviewed by me before being signed by the partners. A simple partnership can get complicated if the partners are either unaware of partnership existence or there is no written agreement. Setting up a partnership right will make the partners happy and protect both them and the tax practitioner. You may then find that your practice will grow in other areas of your expertise with that partnership and its partners. Larry D. Giles, EA, has been an independent practitioner in Chapel Hill, NC since 1982. He became an Enrolled Agent in 1986, and an Accredited Tax Advisor (ATA) and Accredited Business Accountant (ABA) in 1987. He is a 1993 Fellow of the National Tax Practice Institute. His practice specializes in accounting, compilation, review and audit engagements; federal, multi-state and international tax compliance issues; taxpayer representation; and settlement in Appeals of pro se U.S. Tax Court cases. Larry is the current President of the North Carolina Society of Enrolled Agents, he serves on the board of the NTPI Graduate Fellows Association, and he is an active Member of NAEA. Since 1996, Larry has been an author for the Micromash EA Review. Copyright 1997 NAEA. All Rights Reserved.